We just finished picking another coffee round. Surprise. We’ve been doing rounds since August. I thought we had 1,200 trees to pick, but recently James said it’s actually more like 1,500. I just discovered the 1,501st today, on my way to check out the new baby chicks. It’s a tree tucked between Juli’s house and the giant avocado tree. By giant, I mean that the tree is very big, and so are the avocados it produces. The biggest we’ve harvested was three pounds-fourteen ounces. I’d like to call them “Big Papa’s” except that they remind me of Dolly Parton. The coffee tree was tucked into the shadows. I only noticed it because the branches were studded with rubies. Their dull gleam caught my eye as I was passing by. The cherries are as dark red and as fat as they can be, before they turn the color of eggplant, and begin to brown and shrivel. The problem is, it will only be a few handfuls of absolutely perfect cherries, not enough to take to the mill. 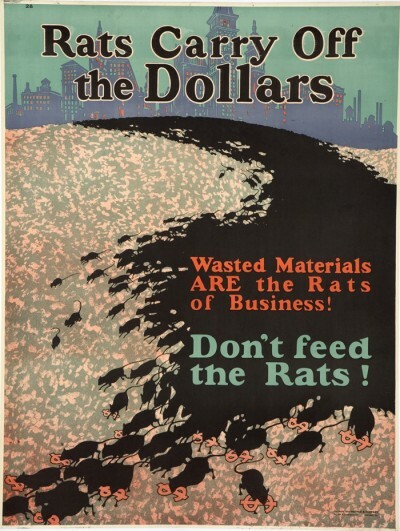 But they have to be picked because of the rats. We have been picking like demons, trying to keep one step ahead of the rats. Just when I thought we’d nailed it this time, here’s the 1,501st coffee tree, in desperate need of picking. It has to be picked because the ripe cherries provide new homes for the coffee borer beetle, who move in to eat the coffee beans and raise their young. It has to be picked because if the beetles don’t get to the cherry first, the rats will. This cherry may have eluded the beetles and rats so far, but it has not eluded me. Favorite rat foods include macadamia nuts, avocados, and coffee cherry. They like to eat this thin layer of goo between the red skin and the coffee bean. The skin is left on the tree to rot, and the beans are left like so many droppings on the ground, to sprout like crazy. It’s a maintenance nightmare, pulling them out later, literally by the thousands, before they get so big they have to be sawed off at the base. For the rats it’s perfect. They nest in the nooks and crannies of the eaves of the buildings, and they leap out at night onto the avocado tree to begin their feasting. Then the rat highway continues down to the lower coffee trees, which are still high enough, and spindly enough where the best cherries are, making it impossible for our cats to catch them. The big ladder is outside the back door to Lil’ House because we’ve got a giant pecan tree that needs pruning. The rats sound like a herd stampeding at night out of their nests onto the the metal roofing, as they make a mad dash for the pecans, and hop down onto the coffee trees. We can only hope that the cats will go up and invade their space, using the ladder to access the roof. On an organic farm, one has to get creative, to avoid using poison, which will, once ingested by the rats, risk being eaten not only by our pets once the rats die, but by the wild owls and hawks, which are already endangered species on our island. Which brings us back to the coffee that needs to be picked. These perfect jewels will probably be frozen in a plastic bag and then taken to the dump, to avoid warehousing the coffee borer beetle, and to keep the rat population from being well-fed and reproducing, and to keep the seeds, or beans as we like to call them, from sprouting and growing like a thick green mat on the moist forest floor. But also, I will be out again soon, and probably for another month or two, to pick more ripening coffee to try to keep one step ahead, in the race with the rats.